The Gamer's Post : Gaming news aggregator without the filler! If you have any questions please feel free to contact me via Reddit. One Piece: Burning Blood releases May 31 on PlayStation 4, Vita, and Xbox One, and it will have a special Marineford Edition, which we were able to open up and inspect. 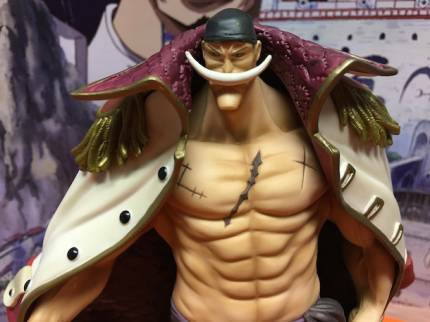 The special Marineford Edition will be available for $129.99 for Xbox One and PlayStation 4 and it comes with an art book and and Edward "Whitebeard" Newgate Statue and a separate Whitebeard's Grave. You can check out some pictures of the figure below. Nexon is ramping up towards its final closed beta for Riders of Icarus, its fantasy MMO focused on aerial mounts like dragons and pegasi. The beta runs from June 2 through June 7, and Nexon is promising that the new gameplay incorporates feedback from previous playtests as well as other enhancements. With this final closed beta on the horizon, Nexon is also sharing the latest trailer for the game, which shines a spotlight on the playable classes that players can choose between when the game launches. Riders of Icarus is headed to PC, but beyond beta dates, Nexon isn’t ready to share any details about release time frame. Check out the game 's official site for more details about how to sign up early. Frontier Developments, the studio behind Roller Coaster Tycoon 3 and Zoo Tycoon, has launched the second phase of the Early-Bird Alpha for Planet Coaster on PC. The update implements new creation tools and features for the theme park simulator. The original Alpha that launched in March allowed players to build paths, rides, and scenery within their own virtual amusement parks. We took a look at a developers diary that featured members of the team explaining the mechanics of their creation tools. You can check out the first two diaries here and here. If you signed up for the Pokémon Go field test, you might have some good news in your mailbox today. The Pokémon Company has announced that the first wave of invitations are going out. 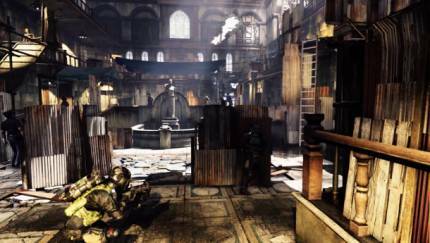 Gameplay details and images have also been revealed, as well as how the game will interact with player geolocation. There will be more than 100 Pokémon at launch. 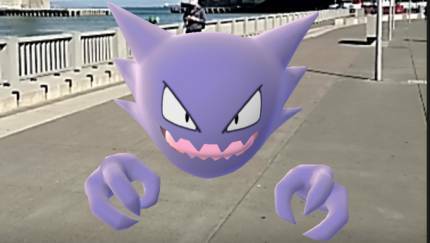 Players will receive notifications on their phones when one is near to attempt to catch it. PokéStops (where players can find Pokéballs and other items) and Gyms will be located at high profile locations around the world. There is a swiping game that is connected to battling, and players can take over a gym and assign one of their Pokémon to help defend control of it. The much-delayed game developed by Mega-Man creator Keiji Inafune's team at Comcept and published by Deep Silver is due out on June 21. The latest trailer for Mighty No. 9 highlights the player’s various abilities. Following a successful KickStarter campaign, Mighty No. 9 has had a troubled development cycle. Fans have been anxious for the game’s blend of retro side-scrolling action ever since it was first shown off in 2013. The game finally has an official release date of June 21, 2016 across a wide variety of platforms. A new trailer was released today that goes into detail on Beck’s abilities and features an interesting narration that shows off the quirky attitude players can expect. German developer Deck 13 released new screenshots for upcoming action-RPG The Surge, displaying new enemies both human and mechanical. The images show players battling exo-suited humans and a much larger, heavily armed robotic foe. The game will take place in a near-future, where life on earth is on its environmental downfall and international company CREO remains dedicated to repairing the atmosphere and aiding climate control. As the protagonist Warren, a new CREO applicant, your mechanical exo-suit may begin as a way to assist in heavy industrial labor, but as conflicts arise it becomes a modifiable weapon. Using a limb targeting system, players can attack and detach certain limbs in order to collect and craft upgrades for their own exo-suit. Enemies with less armor might be an easy target, but it will leave you with less materials to work with after their defeat. PES 2016 was a return to form for the storied soccer franchise, giving the series its first true next-gen iteration. Konami and developer PES Productions have just announced the first details for Pro Evolution Soccer 2017, upping the ante with tons of new animations and tactical options. PRECISION"Hundreds of new animations" have been added, combining with refined ball physics and the way players address the ball to greatly influence how they react to and control the ball. Little flicks and touches were a hallmark of PES 2016, and it looks like it may get better this year. Similarly, passing is greatly affected by these advancements, improving the weight and precision of a great pass. TACTICSPlayers can tweak their team's defensive and offensive tactics "with simple controls" as well as more advanced instructions (including tight man marking and tiki-taka passing). This doesn't sound super different from previous years, so it'll be interesting to hear exactly what's new. We had the chance to go hands on with Umbrella Corps at PAX East, and came away with elevated expectations. While we’re waiting for a proper sequel (and the Resident Evil 2 HD Remake), Capcom is giving us some classic maps and faces to tide us over. The latest battlegrounds unveiled takes us back to Raccoon City. One is a more open city map. The other returns us to the police station we called home in Resident Evil 2. First Order trooper FN-2187, better known as Finn, was one of Star Wars: The Force Awakens' breakout stars. A new trailer for the upcoming Lego adaptation breaks John Boyega's character out further, providing a few more glimpses of this unlikely hero. The clip doesn't provide any major revelations, but it does show off a few of TT Fusion's fun gags. Keep an eye out for Captain Phasma, who has about as much worthwhile screen time as she did in the film. And if you've ever thought that whooshing a lightsaber around would be the coolest thing ever, you're clearly not alone. Hiding images will make the site load faster if you are on a slow connection. Hiding videos will make the site load faster and appear more responsive on older and slower devices. By default TGP shows you news articles from a selected subset of the available sources. You can also pick and choose from the available sources to customize your feed. Simply check all the sources you want to see from the list below and click save.